Get a few products to sell, build a website, advertise and you are good to go…Or are you? Opening an online store and making your Business venture a success is not as simple as it may seem at the outset. There are a variety of factors that determine whether your venture will follow the success trajectory or come crashing down. Of these, the most important aspect is your choice of an eCommerce platform. It is, after all, going to be the face of your business for your customers. Affordability, cost, scope for expansion and growth, tools and features, user friendliness, information security and back-end support are few key factors to base this choice on. In addition to these basic factors, here’s a lowdown on a few other things you need to consider while choosing an e-commerce platform. In this article, we are writing the detailed guide and Top 6 Tips While Choosing the Best eCommerce Platform for Your Business Website. 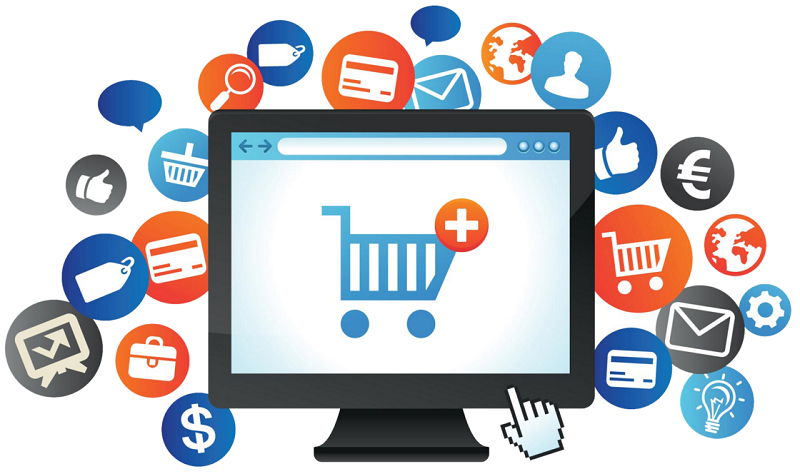 E-commerce platforms come with a wide range of time scalability. While there are certain e-commerce platforms that work on the software-as-a-service principle and are ready to go live in a matter of hours, others may take anywhere between a fortnight to a month to be up and running. It is imperative that you have an e-commerce platform ready and available to use as soon as you have other aspects of the online business such as inventory of products, product photos and description, and texts ready. A safe, secure and efficient payment gateway is crucial for your business’ success. The first important step here is to decide how you’d like to receive payments from your customers –whether you want to use services like PayPal, Authorize or Strip, or use a dedicated payment gateway to facilitate payments through credit cards, debit cards and netbanking. In case you settle for the latter, it is advisable to use an e-commerce platform that can support the best payment gateway. Compromising on quality here can mean putting your customers’ information at risk, which is not good for your business reputation. In most cases, pricing and affordability are the prime concerns when choosing an e-commerce or any CMS platform. The smart thing to do, however, is to weigh the pricing vis-a-vis the features being offered. It is better to stretch your budget a little to get an e-commerce platform that caters to all your business needs instead of scrunching and settling for a basic plan that doesn’t offer well-rounded services. As a new online venture, you’ll need every marketing and promotional trick in the book to be able to reach out to your target audience and grab their attention. Therefore, the option to sell products through popular social networking sites such as Facebook, Twitter, Pinterest, Google+ and more is a must-have in the e-commerce platform you settle for. The online shopping trends and behaviour are forever evolving. A majority of access the internet, including ecommerce sites, through their smartphones and tablets. As a proactive business owner, you should use this to your advantage and reach out to your potential customers through a dedicated app instead of waiting for them to reach you. Therefore, mobile compatibility that support mobile version of the site and preferably an app is a key feature to look out for. Another key feature for building long-term relationships with your buyers is after-sales support. Look out for an e-commerce platform that caters to 24/7 online sales support to help your customers feel reassured in case of a discrepancy. Every e-commerce platform has its own share of benefits and drawbacks. What works for one online business may not for another. Keep you specific goals and requirements in mind and use these parameters as a guideline to arrive at the perfect solution.